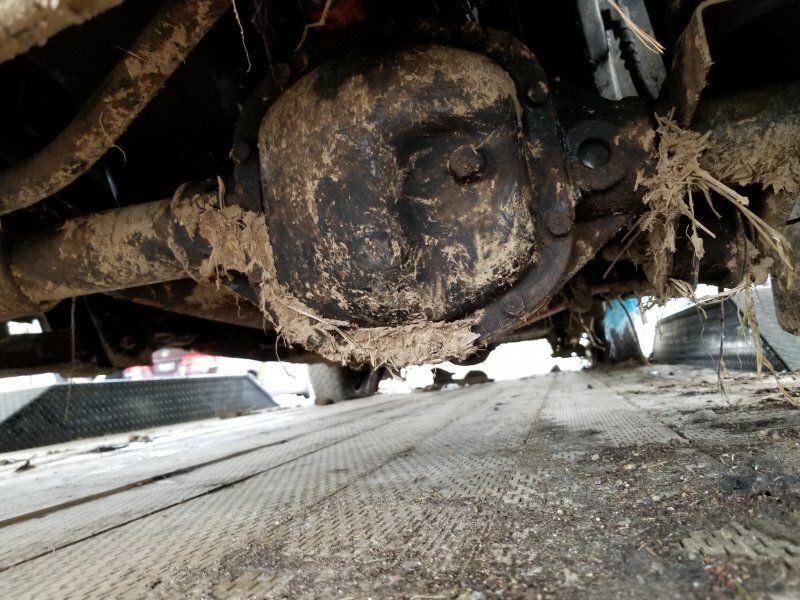 You do not want a CAD axle in front. Check out the rear axle. Since it's an 86 you might get lucky and find an AMC 20. Who knows. For $200 bucks you could still make hay selling the tail lights and camper shell. There is definitely more than $200 worrh of parts there if nothing else. 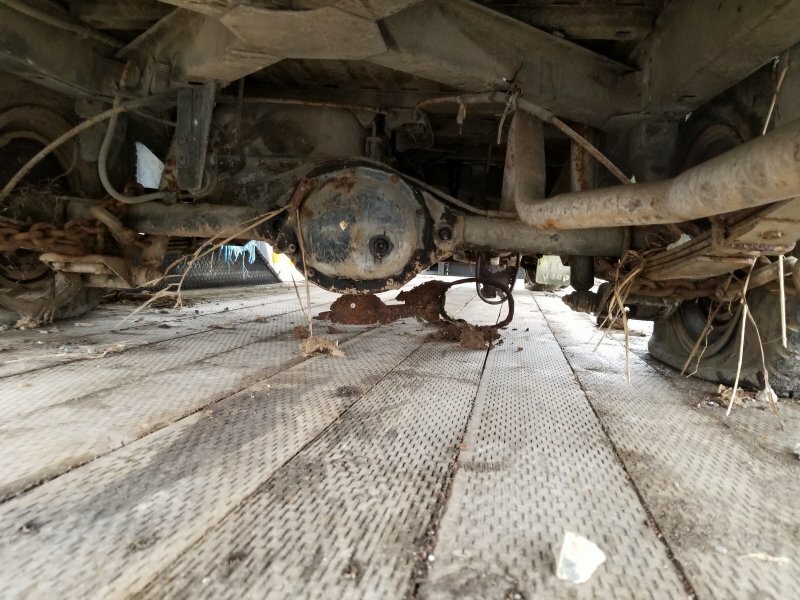 the trans won't bolt up, the t-case is the old 207, the front driveshaft is spindly, the rear shaft is too long, the front axle is a CAD and has the small joints. 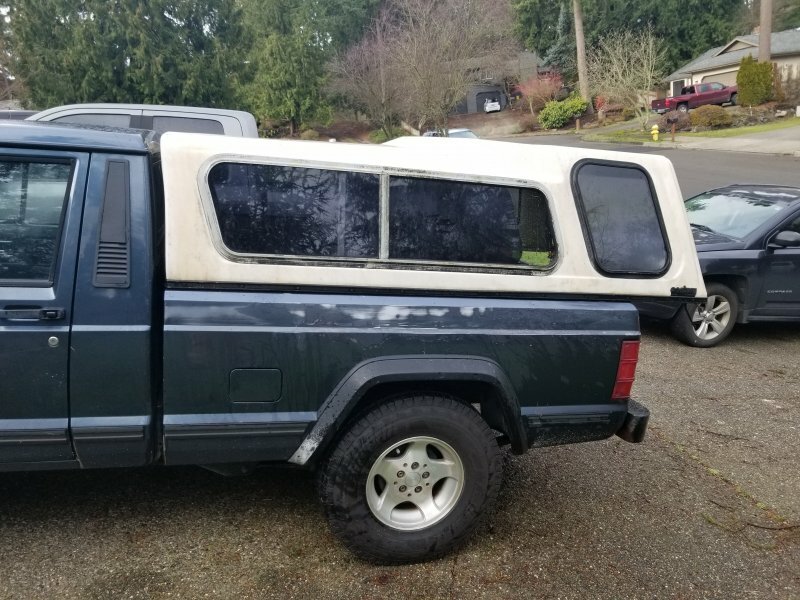 It might still be worth 200 bucks, but not for a 4x4 conversion into a 4.0 truck. Well, I bought it. The price was right and it was only an hour away. There are a lot of good parts on the truck. I don't plan on making money just helping out people that need the parts and try to get back to even. I paid 200 and it cost 50 in fuel. 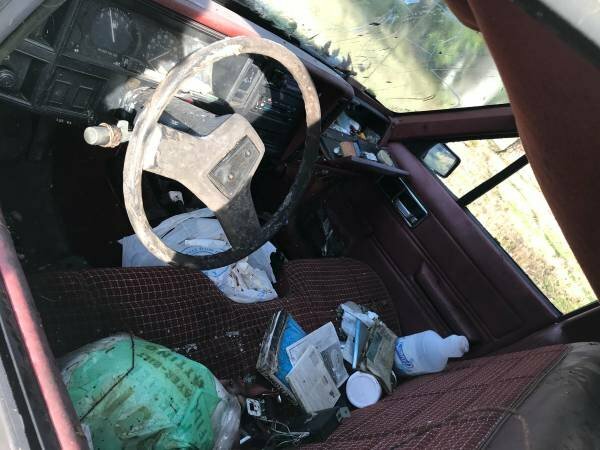 I am still getting parts off of it and will add pictures if anyone sees something they need or want. A couple things I am keeping for spares. I got the topper home and started to clean it up. Looks funny on my short bed MJ. 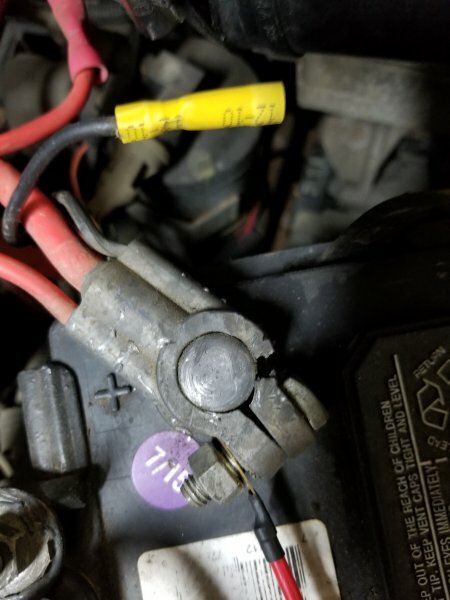 I haven't got the hood open yet, the latch is seized up. I will be waiting for a different 4x4 in a newer XJ as recommended. Also I don't have the space to have an XJ at the house right now so I'm fine waiting. Sure would be nice if my hunting rig was a 4x4 though. 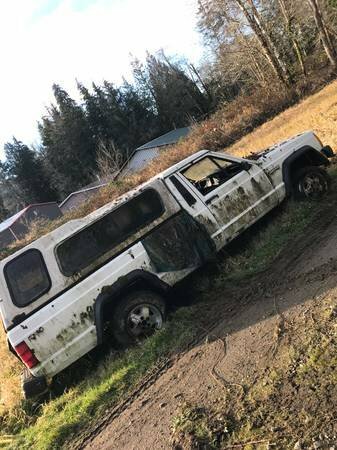 I want to keep my eyes open for the best 4x4 XJ that I can get that would make for the easiest swap. I keep hearing Renix and HO and how certain years XJs make for easier swaps. 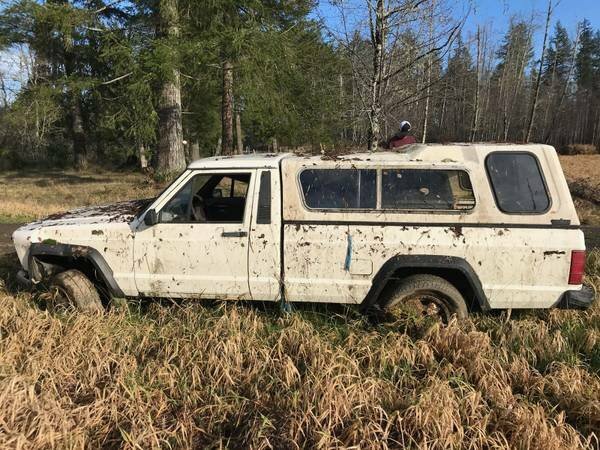 As my signature lays out and ask if more info is needed to answer the question, I have an 88 pioneer 2wd. It has a 4.0 I6 with a five speed manual transmission. I don't the difference between transmissions and what I should look for. If you plan to keep it manual, then it should be pretty simple. 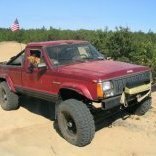 The 94 (maybe) definitely 95-99 Cherokees will have an external slave ax-15 which some argue is better than the nv3550 which was 00-01 Cherokees but the 00-01 had low pinion dana 30s. Both are better than the trans you have in there currently and both are external slave which is much better for if it goes out. 95-96 will have the right style interior to use the shift bezel, but that’s easy enough to get at a junkyard and shouldn’t be a deciding factor. 97+ dana 30s had a bigger u joint in them. I’m not sure how the wiring for the dash lights work for the 4wd indicator. I do know that the plug for an ax-15 and ba-10 are different but was easy to adapt when I did my ba-10 to ax-15 swap. So to summarize, I would look for a 97-99 for a swap best axle/trans combo in a single vehicle. When I swapped stuff around I just stalked craigslist and Facebook market place to find the trans and stuff I needed. Oh and all Cherokee driveshafts will be too short so you will need to get a custom one made or find one from a 4wd Comanche. Installed my headlight harness today. I noticed my positive terminal was broke and now need one of those. 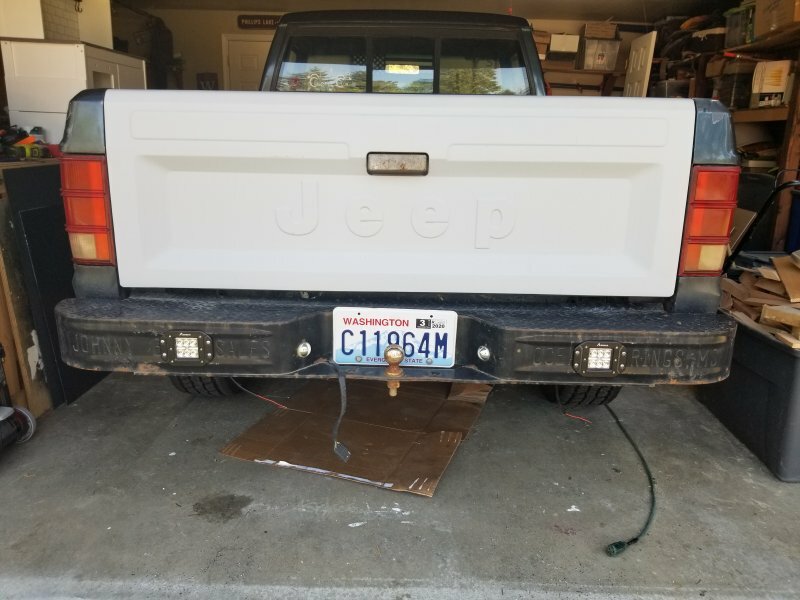 Put my 31" spare tire underneath my truck. The cable was starting to fray so I used a strap as well just in case. 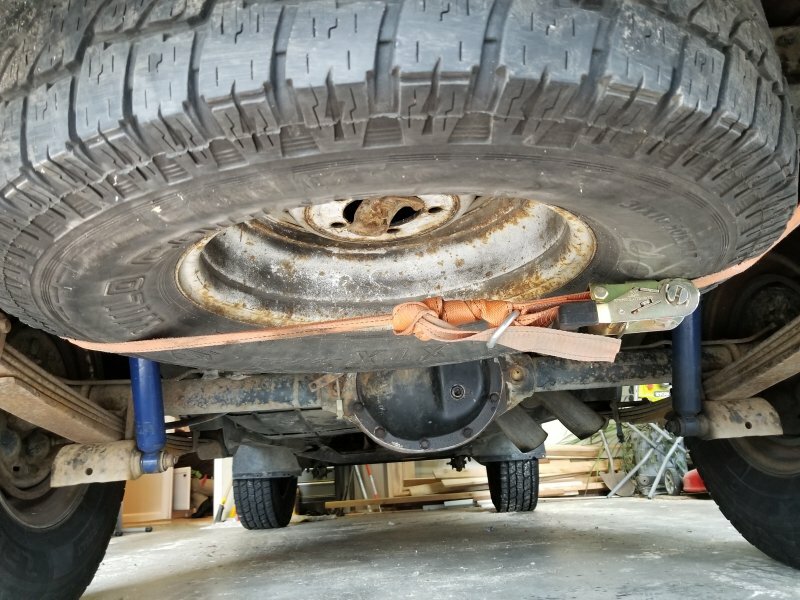 I've heard that other trucks' spare tire winches can be used. can't remember where I saw that though. might be in the DIY. I took some parts off of that 86 MJ and resold it to the pull in save for the same price. Made out pretty well in the end. Still need to sell that canopy and get it off of mine. I had to haul the 86 off early due to a broken pipe in the house. Had a flood so there is no time to get to it and the wifey didn't like seeing it. There was a lot left to remove that I wanted but oh well. I fixed the battery cable and mounted the headlight wire harness. 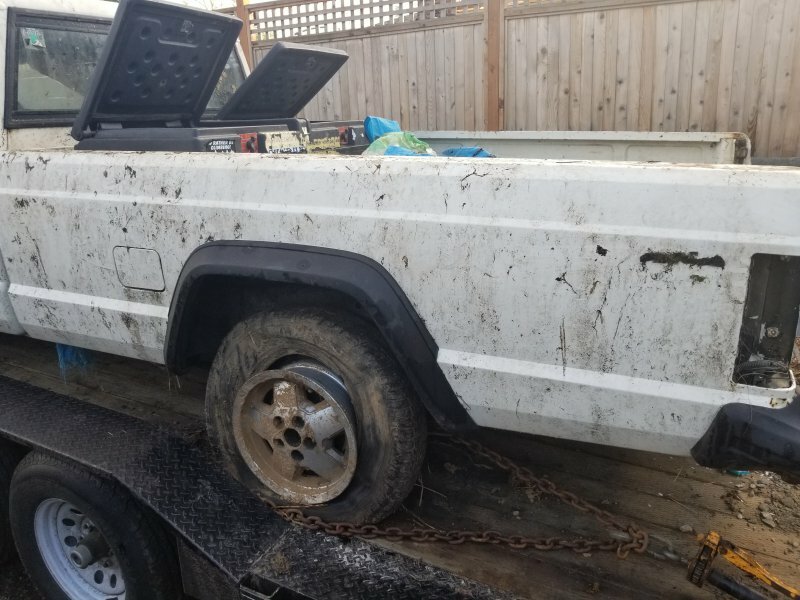 I sold the 86 MJ to the pull in save yard for what I paid for it, $200 after removing some parts. I removed the drip rails, vent covers, e brake handle and cable, canopy, taillights and tailgate. 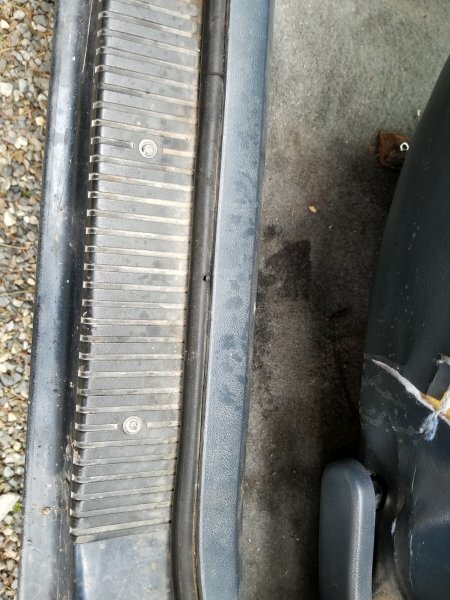 The tail gate is bent and rusted through but I might find a project for it. I sold the drips rails and have the other stuff posted. My house flooded so I wasn't able to remove the other MJ specific parts I wanted to before it was re sold. In all it was a success buying the 86. I have some parts to sell and when they do I will be buying the Raybuck seat cover kit to redo my bench seat, its $220. Then ill buy the parts to give my 88 a 3" lift. More to come after the work is done on the house. I was missing my shifter console so I purchased one not knowing there were a couple sizes of the mini. 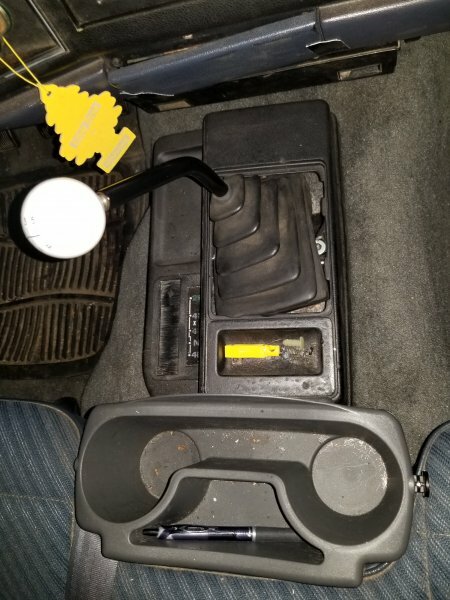 I had the shifter boot still. When the new console arrived I noticed the boot didn't fit right. 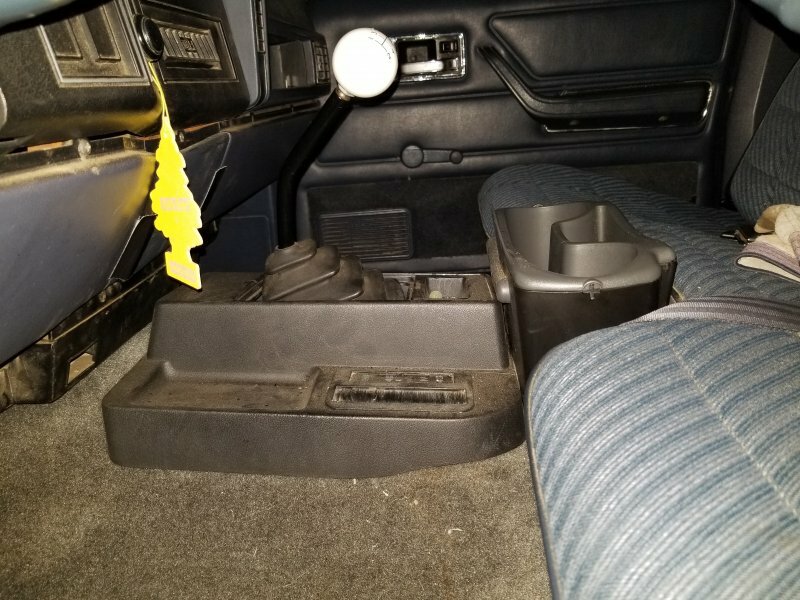 Do I have an XJ console and an MJ boot? Either way does anyone know which boot I need to buy to make it fit right? The console should not matter which vehicle it is from, but it looks like you are missing the boot retainer that keeps the boot and console together. Your right! I do not have that, I'll get one. Have some water leaking in soaking the carpet. I'll buy some new door seals and see if that helps. 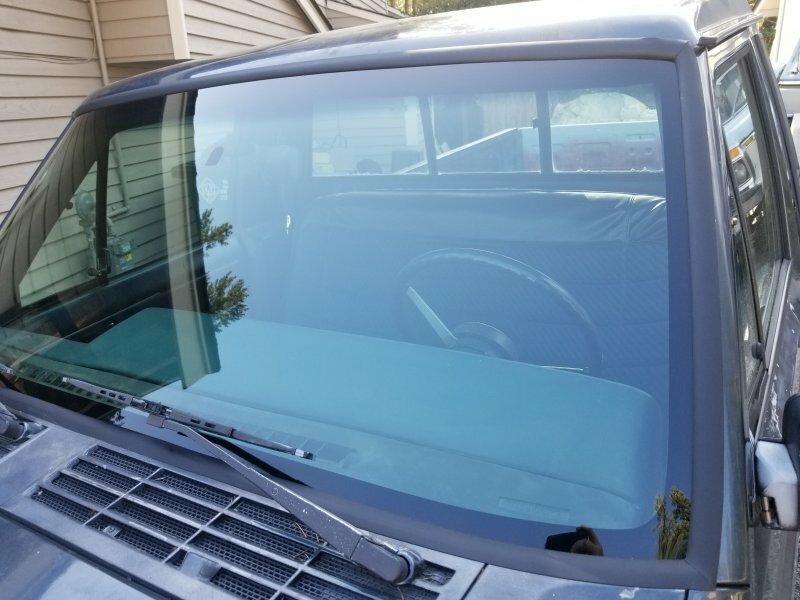 The canopy sold so I was able to buy door seals and the windshield gasket. Satellite is coming at the end of the week for the new glass. 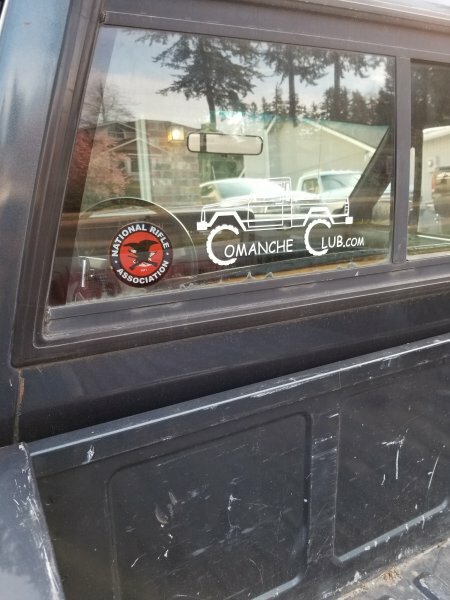 Got the new windshield installed. No rust around the glass so i was very pleased. I decided to go with the rubber gasket instead of the metal trim. I'll be selling the old trim if anyone is in need, it's black. I need to do this to my 86 windshield too, along with the doors and rear slider. 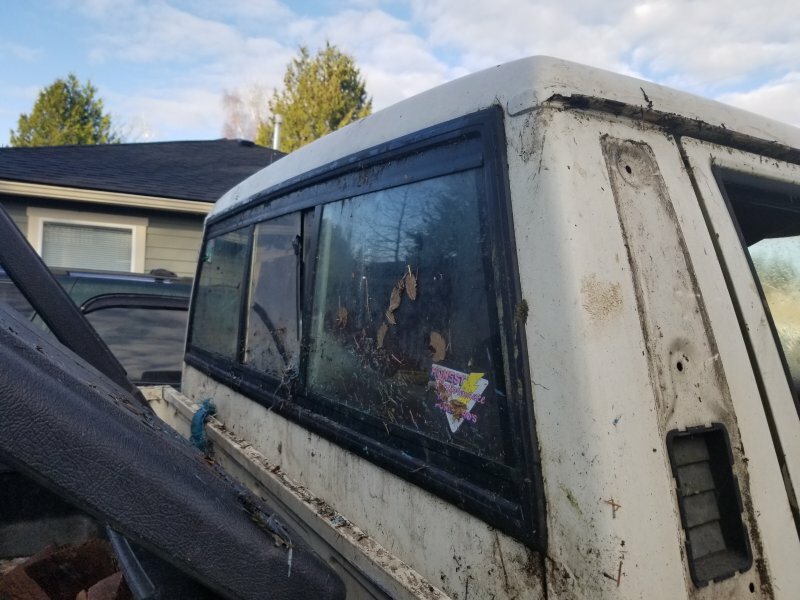 So what year windshield/rubber gasket did you ask for and I assume it was for a Cherokee later model? I have Farmers insurance with the $100 windshield deductible. I went to the Farmers website and plugged in my info. I did have to buy the gasket for them to put in from an online site. Got my lights mounted today.